The Delta MultiChoice Integrated Shower Diverter consolidates custom shower design with its consumer-preferred streamlined style eliminating the need for an additional diverter valve. With three popular trim style choices to coordinate with any bathroom dicor, it provides you the flexibility to select the type of custom shower functionality you prefer. With the MultiChoice Universal system, you have the freedom to upgrade style and functionality later. And, because there's no need to alter plumbing behind the wall, you save time, effort and money on future renovation updates. 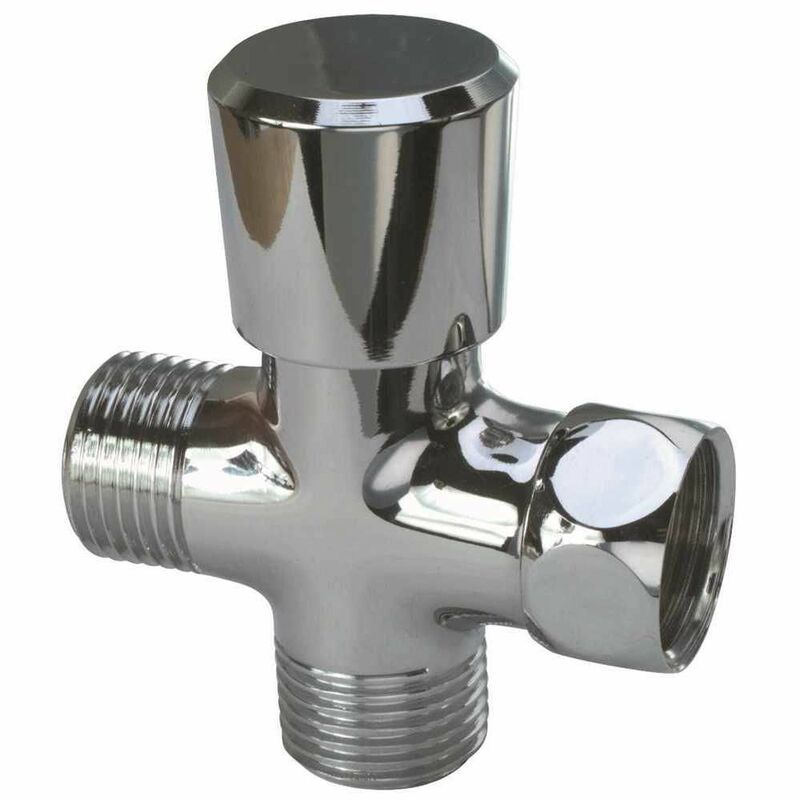 Diverter For Handheld Showers, Chrome, 1/2 inch Ips Hooks Up To Standard Shower Arms. Has Push-Pull Control. Made Of Chrome Plated, Solid Brass. 1/2 inch Ips.